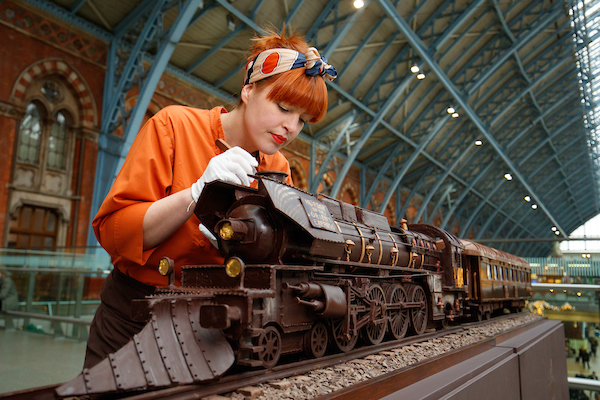 Chocolate train for Godiva Chocolate and 20th Century Fox, takes 3 months to create ! "We took part in a family chocolate workshop to celebrate my daughter's birthday and it was such a special and unique way to celebrate! Jen has thought of every last detail to make it a wonderful session, and the chocolate piped birthday message on my daughter's place mat was a very lovely touch. We learnt about the process of chocolate creations and it was a very hands on experience, with ample opportunities to have a go at something ourselves. Great value for money too as we left with our incredible chocolate sculptures and fun lollipops. If you're looking for something a little bit different, then I can't recommend this highly enough. Jen is friendly and fun and she made the day really memorable for us. So exciting that this is right on our doorstep in Shoreham! "The glory of the Chocolatician's work is that - not only do the wonderful chocolate sculptures look beautiful - but the chocolate is the best I have ever had. It is absolutely divine. It is very difficult to resist eating the amazing art quickly and without sharing. The care taken into making sure the flavour in the product is premium really sets this business apart from competitors. Don't think, just buy." Natasha Coverdale, Hove, East Sussex. 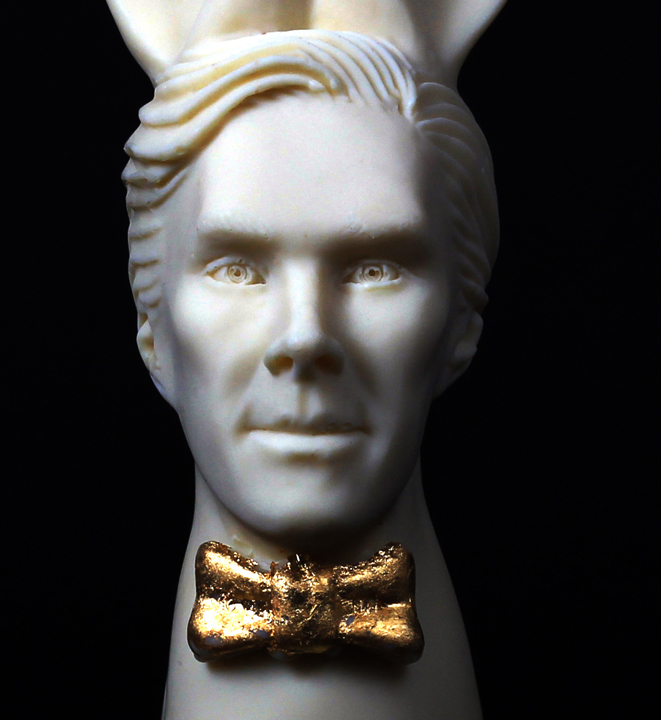 And then came the Cumberbunnies!!! !